Banff public transit service available to the hotel, please see link below for stops schedule. 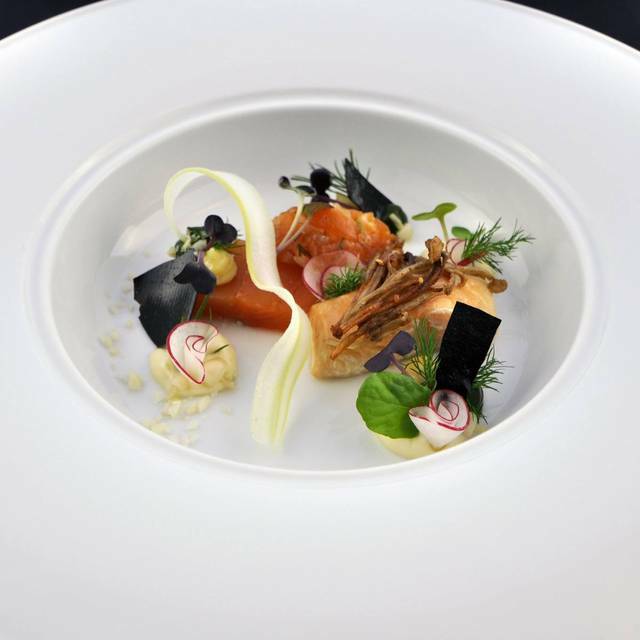 Our AAA Five Diamond award winning restaurant is an exquisite dining experience, offering French cuisine with regional accents. 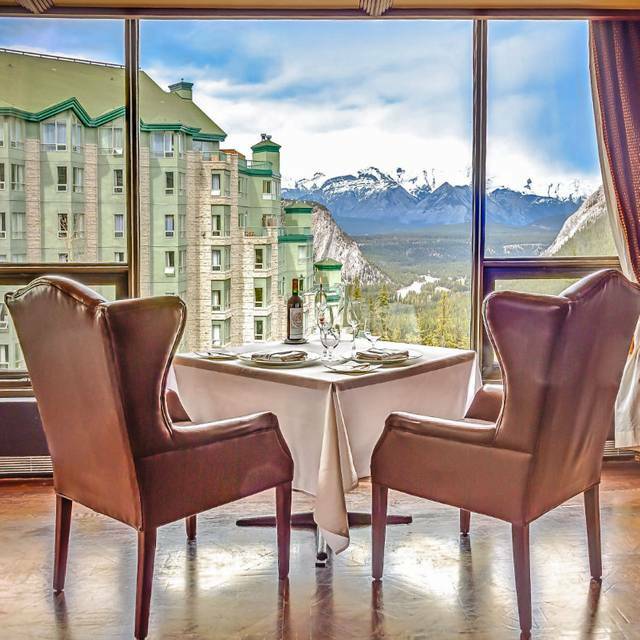 Combined with Eden's Wine Spectator Best of Award of Excellence and ALTO Award winning service, this restaurant provides each guest with the finest in dining, service and scenic views in Banff. Sommeliers are on staff to offer the best wine pairing to compliment the experience. Please check reservation for availability. Unbelievable service to accompany incredible food. 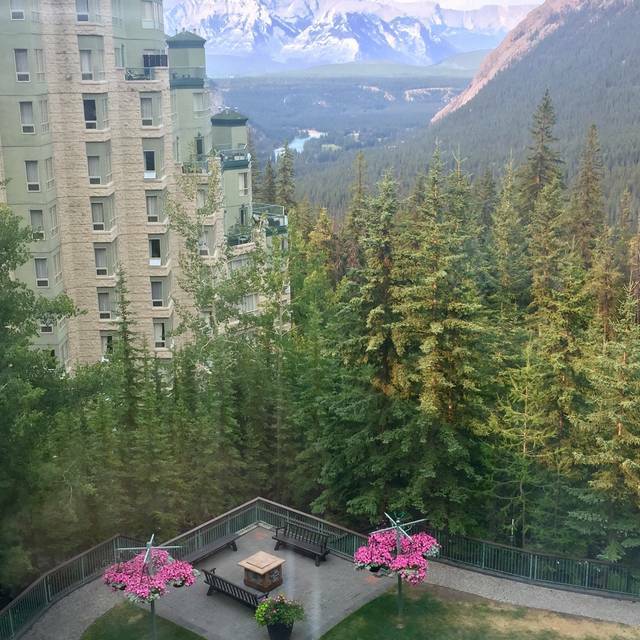 Top this off with a beautiful restaurant setting with close-up views of the Rocky Mountains. It's not an inexpensive meal but you'll never have better service and the food pairings, amuse-boy offerings, and the playing and presentation make it worth every penny. We had a fabulous experience! Special thanks to Chas and Benoit for making us feel welcome and for making the experience so special. Fantastic food, extraordinary creative chef, THANK YOU!!! We loved the tasting menu with wine pairing. The service was excellent. I will definitely go back. Amazing! Will for sure be back! Perfect night...the most amazing experience ever! Excellent staff and food. Overall amazing night. The entire Eden experience was incredible!! Robert our sommelier amazing and Chef...we cannot compliment you enough. We will see you soon!!!! Probably one of our best all time meals. The food was amazing, perfectly prepared and artfully presented. The service was outstanding. The pace of the food was also perfect. Never rushed but never felt like we were waiting unnecessarily. It was a very expensive meal - but well worth it. My only negative would be with the value of the "Eden pairings". I am not sure there was value to justify the upcharge from the Classical Pairings. Food was good, service was great. Downside was one could hear chef yelling in kitchen. In a restaurant that prides itself on being a romantic getaway this “noise” definitely took away from the ambience. My wife and I dined there for the very first time this past Saturday Night and after dining all across Canada for the last 25 years, we will both agree that it’s is one of the nicest meals we have ever had . Unique dishes to die for , fabulous atmosphere and super enjoyable staff made this very memorable- we are already planning on bringing some family from out east the next time they are in town! Absolutely amazing, Top shelf all around, service and food !! Eden has an excellent atmosphere. 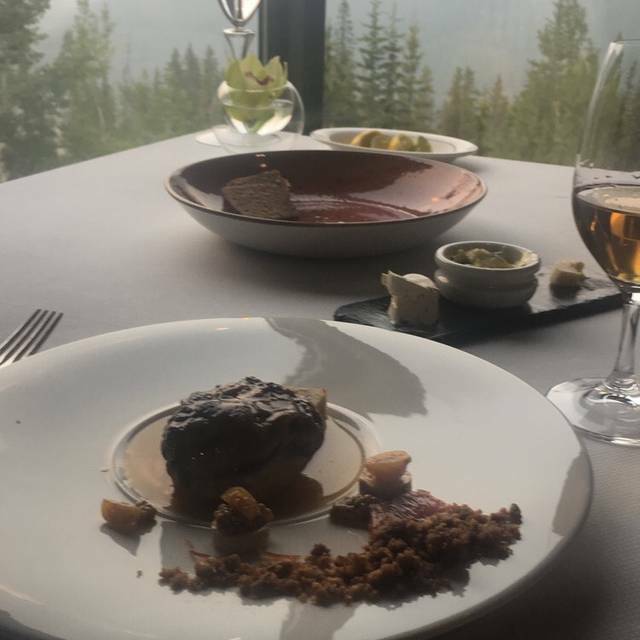 I would recommend requesting a table with a mountain view to truly capture the best experience. The wine list is extensive and food selections were lovely. The view was spectacular, the staff was very attentive, and the food was fantastic. The Venison cheek was delicious and so tender. Everything was amazing, delicious, great portion sizes, incredible service, and fantastic accommodation of allergies. Very overpriced for visually stunning but poorly executed food. Top shelf food, excellent wine pairing, even cocktail pairing for my husband. A night to remember. What an incredible experience! The wait staff was super professional and at the same time entertaining. We went with two couples celebrating a birthday and the food did not disappoint! We enjoyed the tasting menu paired with wine and every dish we tried we were amazed with. We unfortunately had to leave after the 3rd course as the birthday girl had a bout of altitude sickness that she could not shake. The wait staff was understanding and courteous and did not charge us for the rest of the courses we missed! I would not go back to Banff without visiting Eden again. It will not disappoint. 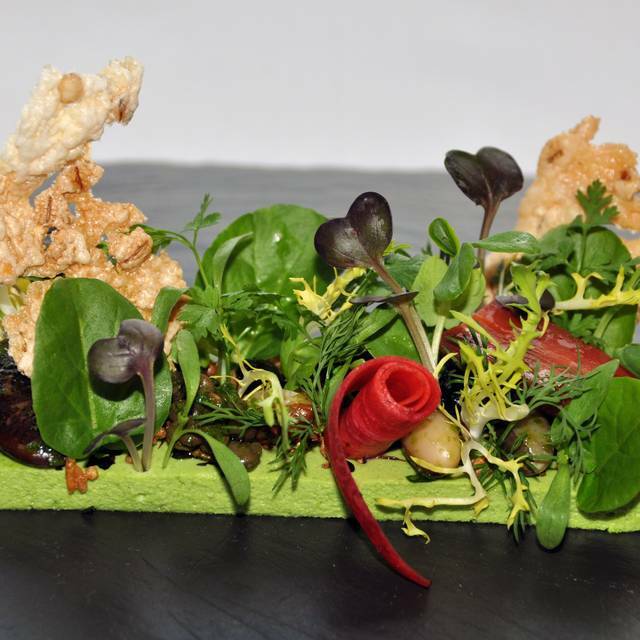 The Eden is great experience for fine dining in banff. The service was exceptional and the staff worked with to ensure our visit was the best we could ask for. They were friendly and always paying attention to our needs. Service is always impeccable. My only small issue was related to the main dish that I had - I’ve had it before but this time couldn’t have the vodka sauce due to pregnancy. Unfortunately, this meant that the fish was quite dry. Wish I would’ve known as I would have ordered something else. Otherwise, great experience as always! My wife and I went there for our anniversary and it was perfect. 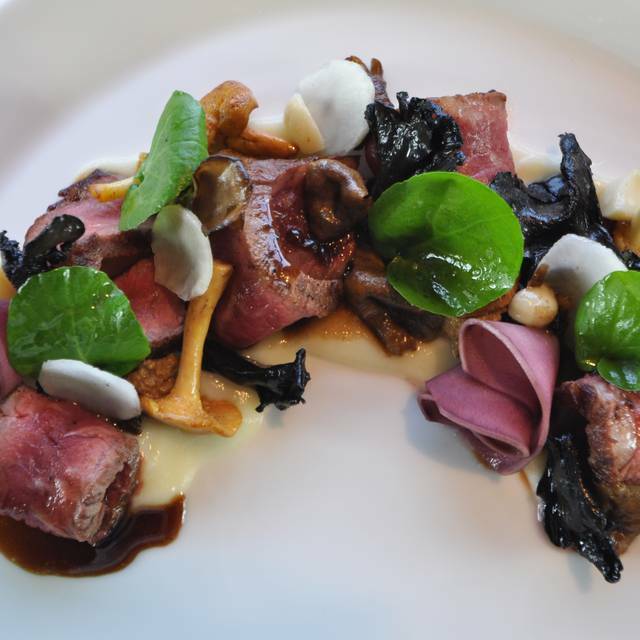 There is plenty of good food in Banff but if you want fine dinning, go to Eden. From the moment you check in to the desert, you know you are at a very nice restaurant. My wife recently developed a food allergy and I simply cannot explain the level of effort that the staff and the chef made to accommodate. You felt as if you were the only people in the room and the staff was plesantly friendly and warm. We ended up laughing and staying much later than expected due to the wonderful staff. I would absolutely go back in the future and I highly recommend the food, staff and overall experience. 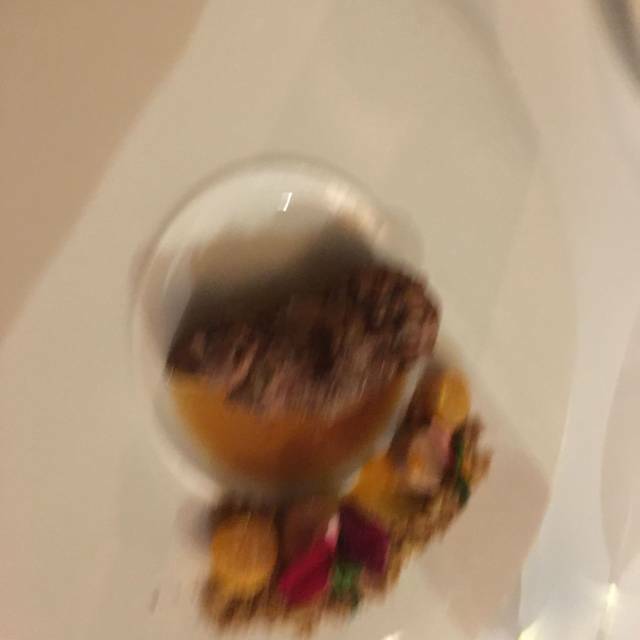 We tried the Chef's tasting, it was fantastic. We tried foods we've never eaten before. The service was incredible as well. Wonderful food and Chad was very accommodating and friendly. 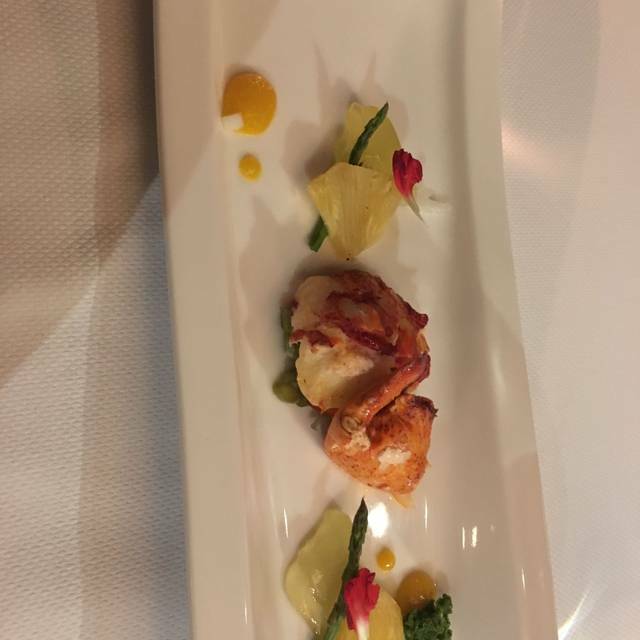 Amazing fine dining restaurant with a great, friendly, and knowledgeable staff! The entire experience was perfect, and surprisingly not as expensive as you would expect. The food was excellent, perfectly done, and catered to my boyfriend’s celiac allergy amazingly. The staff were great, very involved and knowledgeable, as well as funny and charming. Overall, an amazing experience and we would return in a heartbeat! The total experience. Excellent food and service. Along with the Cheese cart comes a Whiskey cart. Highly recommend. Fabulous Christmas Eve dinner for two. Both Christmas and veg tasting menu with paired wines. Inventive/creative courses which were uniformly excellent. Staff who were attentive personable and funny made the evening extra special. 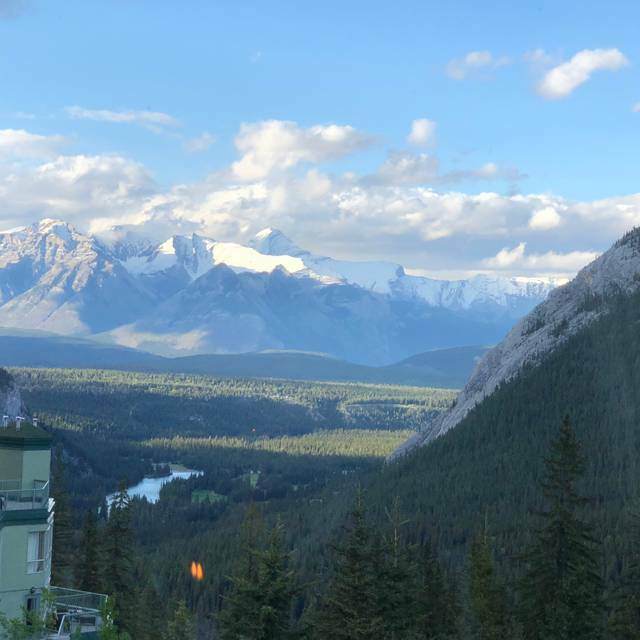 It’s banff so had to take out second mortgage but well worth it. Venison Wellington was the highlight. Very good restaurant for special occasions! Good service and excellent food taste! My partner and I went to Eden for a fancy date. I planned it to be the highlight of our short stay in the mountains. We were not disappointed. From the moment we arrived, we were greeted with such welcome. From the Maître D, to our server, sommelier and bellman.. we were definitely taken care of. Of course, how can we forget the food? We send our compliments to the chef for bringing such a complex Christmas tasting. There were some courses where my palate was not used to, but that’s not to say that it was not amazing. A truly recommended experience. We will definitely go back! Exceptional in every way possible but the food and service are out of this world. We went there for an anniversary and we couldn't have picked a better place. We have been to a lot of top restaurants in Canada and the only ones that we went to and may compare to Eden are George and Alo in Toronto. Excellent food and great service. We will be returning if we find ourself in Banff in the future. My husband and I went for dinner here for our birthdays. Great ambience, beautiful presentation and delicious food. Every staff member made us feel extra special. Once again Eden was great! This time we did the 9 courses tasting menu and everything was delicious. Beautiful presentation, good wines and friendly staff! Yes, it is a pricy experience but if you are a foodie and love food like my husband and I, you need to treat yourself and go there!